In our series of winter blogs, Chief Officer for Leicestershire and Rutland Local Pharmaceutical Committee, Luvjit Kandula, encourages everyone to seek help from their local pharmacist for minor health concerns. Pharmacists are experts in medicines who can help you with minor health concerns and provide a range of services and support to keep you and your family safe and healthy. The Help us Help you campaign is helping to raise awareness that your local pharmacy is one of the first places to go for clinical advice or over the counter medicines to treat minor health concerns such as sore throats, coughs, colds, tummy problems, teething aches and pains and much more. Every pharmacist is a qualified healthcare professional who trains for five years in the use of medicines before they qualify. They have received the right clinical training to manage minor illnesses. They can advise you on whether you need a few days rest and can recommend the right over-the-counter treatment for you. Pharmacists are also trained to recognise symptoms that suggest something more serious and will ensure you are referred to a GP or another healthcare professional if needed. The pharmacy can provide help with your medicines and answer questions on your prescription and over-the counter medicines and support you with advice to manage any conditions you may have. Many pharmacies are open until late or at weekends and are normally located within 20 minutes walking distance which means they are easy to access for you and your family. Most pharmacies have a private consultation room which can be used so no-one else can overhear your conversation. Community pharmacy can offer patients a fast, convenient clinical service which will also help reduce unnecessary appointments with your GP and visits to A&E to relieve pressure on these services and reduce waiting times for you too. Community pharmacies in England provide a service to around 1.2 million people every day. The Help us Help you pharmacy advice campaign follows the publication of the NHS Long Term Plan which called for greater use of community pharmacists’ skills. Luvjit Kandula, Chief Officer, Leicestershire and Rutland Local Pharmaceutical Committee. Specialist Advisor APPG Diabetes, Chair – PCPA Community Pharmacy Group. 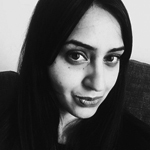 Luvjit is a qualified pharmacist who currently works as the Chief Officer of Leicestershire and Rutland Local Pharmaceutical Committee and was recently seconded to NHS Digital to support digitising medicines and Pharmacy. Her role involves advancing community pharmacy in the local NHS whilst representing Community Pharmacists interests through integration. Luvjit has extensive experience working as a Community Pharmacist also having worked in hospital pharmacy and industry both in the UK and abroad. Previous roles include Head of Pharmacy Services, Head of the Pre-registration Training Programmes and also Chairing Warwickshire Local Pharmaceutical Committee.